When it comes to boosting brainpower and cognitive function, most people turn to nootropic supplements. There are plenty of nootropic supplements on the market, all of which are claiming to be the best. That makes it difficult to choose just one. You want to choose one with high quality ingredients that have real effects. 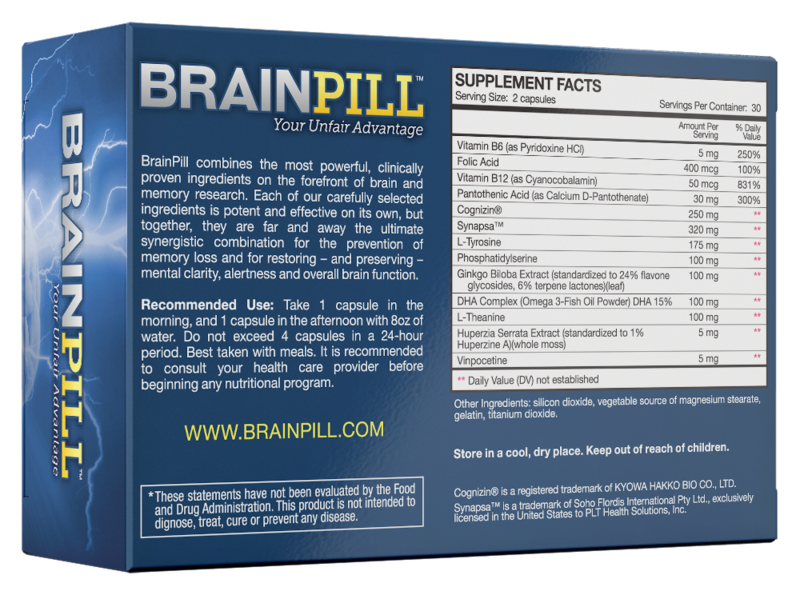 One nootropic supplement that offers high quality ingredients and real effects is Brain Pill. 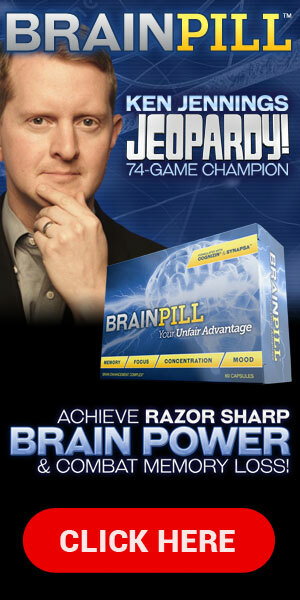 The ingredients of Brain Pill are what sets it apart from the competition. All of the ingredients in this supplement are scientifically formulated and 100% natural. Each ingredient was chosen for its ability to work synergistically with the others. 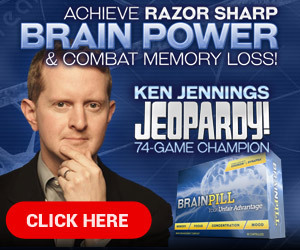 The two key ingredients of Brain Pill are Citicoline (Cognizin) and bacopa monnieri (Synapsa). Citicoline is a water-soluble compound that can be found in every cell in your body. It’s been shown to be incredible brain food and is offered under the name Cognizin. Unlike other brain nutrients, that support a particular function, Cognizin supports and energises the entire brain. Synapsa is an extract of bacopa monnieri and it is so effective it has been patented. The ingredient has been studied time and time again and has been shown to have a range of benefits including improving learning and memory. Bacopa is said to be so good for the brain because of the bacosides it contains. These are chemical compounds that are able to repair neurons and boost the transmission of nerve impulses. There is a range of other ingredients contained in Brain Pill, but these are the important ones. The pill also includes B-vitamins, gingko biloba, Huperzine A and a DHA complex. As great as the brain is, it does have limits. It can only process so much at once. Supplements like Brain Pill give your brain a boost and improve how much working memory you have. This is essentially how much your brain can focus on and remember at once. The more working memory you have, the better you perform at mentally taxing and the easier it is to form and recall memories. We’re all a little guilty of getting distracted. One of the main benefits of a nootropic supplement is reducing distractions and slicing through your brain fog, keeping you mentally focused on what is in front of you. This nootropic keeps you going even when you’re fatigued, which makes it much harder to stay focused. Improving your ability to form and process memories improves your ability to learn and acquire new skills. This boosts your performance at school or work and helps you prepare for exams and projects. You need all the brainpower you can muster when learning a new skill – particularly a difficult one – which is where Brain Pill comes in. Effective decisions are made with a clear and rational head, which is just what you get from Brain Pill. It keeps you going in stressful situations and makes it much easier for you to make the right choice each and every time. Brain Pill contains two of the most powerful nootropic ingredients in Cognizin and Synapsa, leaving you with a potent nootropic supplement that can boost your brain power, keep you free from distractions, and improve your working memory. All the ingredients are carefully selected to give you the most potent benefits. They work together synergistically so you get the most out of each and every ingredient. If you want a pill that protects your brain, keeps it healthy for years to come, and pushes you to the next level mentally, then the only choice is Brain Pill.